A happy little birthday bug with her slice of cake and a daisy flourish fascinator. The happy bug uses googly eye brads and I hand trimmed some arms for her to hold her piece of cake. I added some floral flourishes and made one into a fashionable fascinator. Add the usual mix of patterned papers, pop dots, and a Hero Arts stamped sentiment, and she is almost done. 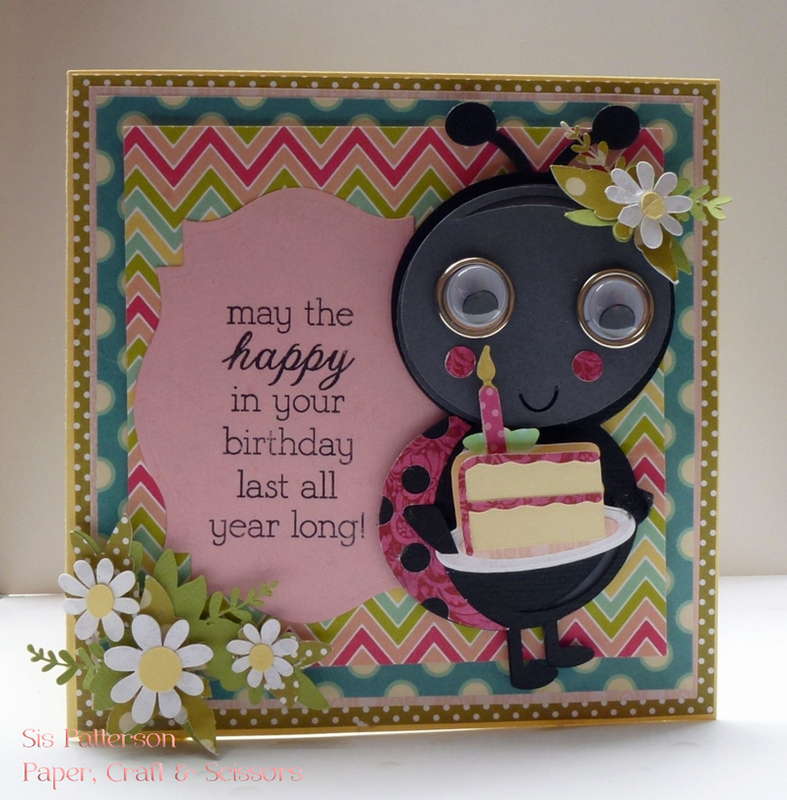 Don’t forget to use Papertrey Ink cardstock for your base as she is loaded down with papery goodness.